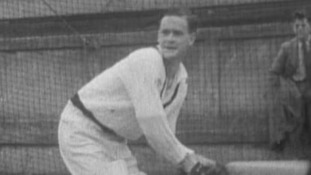 A new street in Baildon is to be named in honour of legendary Yorkshire cricketer Brian Close. Yorkshire will play top flight county cricket next season after picking up vital bonus points against Worcester. Andrew Gale's side needed two points to secure Division One safety. They got them on the Day One of the match at New Road. Survival is the second bit of good news for Yorkshire on the day spin bowler Adil Rashid signed a new one-year deal to play red and white ball cricket at Headingley. 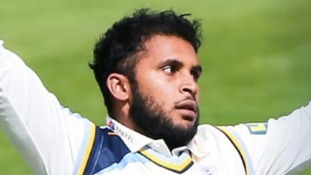 Yorkshire bowler Adil Rashid has agreed a new one-year all-format deal with the club. The leg-spinner's new contract will see the 30-year-old, who was born in Bradford make himself available for all forms of the game, continuing his 12-year affiliation with the White Rose county. But he was selected for England’s recent summer Test series against India, playing all five Tests in a 4-1 victory. He has been selected for the pre-Christmas tour to Sri Lanka and he will hope good form for Yorkshire can strengthen his claim for next summer’s home Ashes. 'There’s been a lot of talk and speculation but Adil is a very valuable cricketer for us. Now he’s in the Test team, how much he’ll be available for us next season is unclear. But when he is available we’d be delighted to have him and for him to be part of what would hopefully be a successful summer. For now, it will just be for a year because it’s still not clear what career path he’s going to take. He’s back in the Test team and continues to do well, so we’ll see where that takes us. Obviously going into 2020 and with the new competition, players are waiting to see how that will affect contracts. Jeet Raval has flown in early as cover for compatriot Kane Williamson who has been nursing a bruised finger on his left hand. 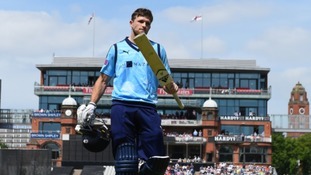 England all-rounder David Willey has signed a one-year contract extension that will keep him at Yorkshire for the 2019 season. Yorkshire Wicketkeeper Andrew Hodd has announced he will retire at the end of the 2018 season. Dickie Bird has agreed to become an ambassador for the Children’s Heart Surgery Fund, after donating £30,000 to the charity. New Yorkshire signing Sarfaraz Ahmed checked into Bradford yesterday and immediately set his sights on continuing his proud record. Yorkshire County Cricket Club have signed Sarfraz Ahmed on a short-term deal as a replacement overseas player for the outgoing Peter Handscomb. Handscomb is due to depart the UK after the Vikings’ trip to Trent Bridge on Sunday and will head home for a scheduled week-long training camp in Darwin ahead of Australia’s tour of Bangladesh. Ahmed is due to arrive in the UK before the end of the month, subject to obtaining a visa. Yorkshire say the Pakistan captain will play the final five qualifying NatWest T20 Blast fixtures, as well as any knockout games. He said: "I've always wanted to play county cricket so this is an exciting opportunity for me. Yorkshire are a big club with a rich history and huge reputation and I'm proud to be following in the footsteps of other Pakistanis who have played at Headingley like Younus Khan and Inzamam-ul Haq. It’s a dream come true for me and hopefully it can help me become an even better professional." England reached the Women's World Cup final after being South Africa by two-wickets after a nerve wracking win over South Africa in Bristol.